Like much of what Trump says, his plan to deport two to three million people is light on detail, but it appears to be a continuation of immigration policy under the Obama administration. Since 2009, President Obama has deported 2.5 million immigrants, many of whom were “criminals.” He’s relied on Clinton- and Bush-era policies that streamline deportation and empower local law enforcement. While some people have been deported for serious crimes, many have been sent back for merely reentering after being deported in the past, or even for violations as minor as driving without a license or running a red light. The last three presidents built a deportation machine; Trump is lining up people who can shift it into high gear. His transition team includes Kansas secretary of state Kris Kobach, who authored Arizona’s notorious SB 1070 legislation — which, since 2012, has made it a state crime to be in the country illegally. SB 1070 institutionalizes racial profiling by empowering police to ask for proof of citizenship from anyone based on suspicion alone. Like the criminalization of black and poor and working-class people fueling mass incarceration, it criminalizes immigrants and those seeking asylum from countries like Honduras, which has one of the highest murder rates in the world. The federal government has the tools to give local law enforcement SB 1070-like powers. Trump could expand a Clinton-era program, 287(g), that deputizes local sheriffs and police officers to act as immigration agents, and renew Secure Communities, the Bush-era program that flags all noncitizens booked into local jails. Trump’s choice to lead the Department of Homeland Security (DHS), General John F. Kelly, is former leader of the United States Southern Command (SOUTHCOM), which oversees US military operations in Central and South America and the Caribbean — “military operations,” as in supporting right-wing paramilitaries and coups of left-leaning leaders. Gen. Kelly has proudly defended Guantanamo along with the use of torture. Trump’s transition team also includes Peter Thiel, the venture capitalist founder of PayPal. Thiel’s Palantir Technologies holds contracts with ICE to track and collect intelligence on immigrants, meaning he’d stand to gain from an expansion of the deportation machine. Immigrants and rights advocates across the country are preparing for the worst. Cities like Portland and Los Angeles are redoubling their efforts to act as “sanctuary cities,” where law enforcement refuses to cooperate with federal immigration authorities. California is discussing legislation to make that promise statewide. Those of us with family, friends, coworkers, and neighbors in the line of fire, and those wanting to stand in solidarity with immigrants, must mobilize — as always, strategically. That means examining the money that’s behind anti-immigrant expansion. First, it’s important to note that the deportation machine is in crisis. For months, even before Trump won, the agency has been short on space to detain immigrants before deportation. Last month, a record number of immigrants — an average of 41,000 each day — were being held in Immigration and Customs Enforcement (ICE) detention facilities, known for their poor conditions and inadequate medical care. Meanwhile, the immigration courts charged with delivering decisions to people fighting deportation or seeking refuge have a backlog of more than 520,000 cases. ICE’s crisis is one of its own making. Border crossings are at their lowest level in decades. The lack of space in immigrant detention centers is a product of the increasing criminalization of immigration, not an influx of people trying to get into the country. Trump’s plan would elevate the detention crisis to unprecedented heights. The ACLU estimates that deporting two to three million people in the first year of Trump’s presidency would require the construction of more than one hundred thousand new immigration detention beds. Unlike the federal criminal justice system, where 19 percent of prisoners are held in private prisons, immigration detention is highly privatized. Private companies operate 65 percent of the “beds” in ICE’s detention facilities. For months, ICE has been scrambling to find new “beds” by signing contracts with private companies and local jails. Trump is a builder known for his construction expertise, but he’s more so a dealmaker. If he fires up the deportation machine on day one, short of massive public investment, he’ll need to lean heavily on private prison companies to expand old facilities or build new ones. We know a great deal about the companies that own and manage prisons and immigration detention facilities. The two largest private prison companies in the United States, CoreCivic (formerly CCA) and GEO Group, profited a combined $361 million in 2015 alone. But we only recently learned who’s staking them. The companies rely on banks, most notably Wells Fargo, Bank of America, and JPMorgan Chase, for credit, loans, and bonds to funddaily operations and build new prisons. They also use Wall Street’s cash to maintain a particular corporate status that nets them huge tax breaks. All the while, the banks profit from charging interest and fees. Therefore Wall Street, by bankrolling the private prison industry, is complicit in mass incarceration and the criminalization of immigration. Banks like Wells Fargo will enable the private prison industry to provide enough beds and cells — to hold our loved ones, neighbors, and coworkers — when Trump comes calling. By targeting the money, the immigrant rights movement and its supporters could disrupt Trump’s plan to deport millions. By protesting at bank branches, moving money out of accounts, and demanding that cities refuse to do financial business with any bank that funds private prison companies, financial institutions would learn that if they support the deportation machine, they will pay an economic price. A series of wins across the country could increase the pressure on all banks to cease doing business with private prison companies, and even on local officials who sign contracts with the federal government to hold immigrants in local jails. Divestment could move beyond the symbolic to real power. The beginnings of such a movement are already in motion. Earlier this year, taking cues from successful divestment campaigns at Columbia University and the University of California (UC) system, the Berkeley City Council called on the city of Berkeley to divest from private prison companies. But the council went further by recommending the city request that its business partners, most notably Wells Fargo, do the same. Portland’s City Council is currently deciding whether to divest its corporate bonds from banks for their involvement in the private prison industry. 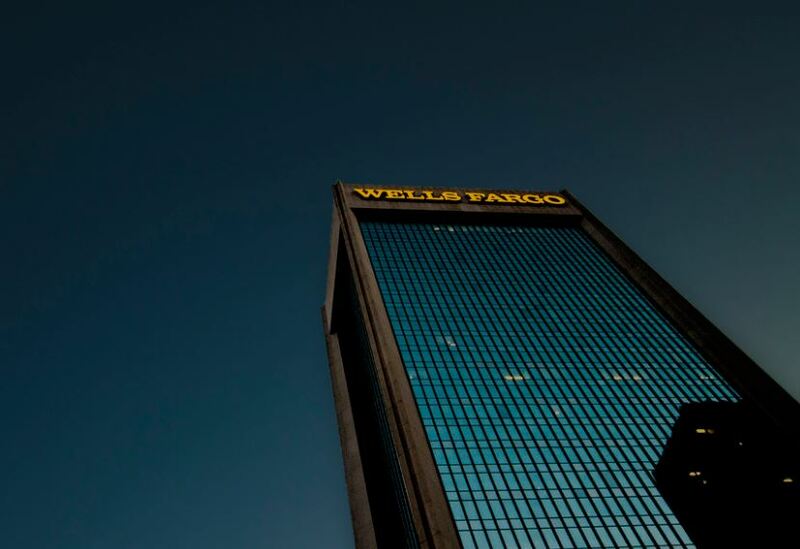 Around the country, Wells Fargo customers are already moving their money because the bank bullied workers into making fake accounts and is financing the Dakota Access Pipeline. These campaigns offer a potential way forward for the immigrant rights movement under Trump. The more we follow the money, the better we can fight those who seek to deport millions. Let’s make them pay. Previous Tell the Human Rights Campaign (HRC) to revoke their 100% rating of DAPL and prison profiteer, Wells Fargo!